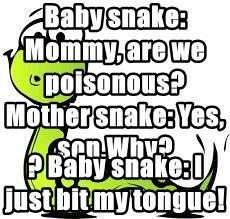 Baby snake: Mommy, are we poisonous? Mother snake: Yes, son.Why?
? Baby snake: I just bit my tongue!